DETROIT – June 25, 2014 – Less than seven years after introducing its groundbreaking Detroit™ DD15® engine, Detroit Diesel Corporation (Detroit) today marked the production of its 250,000th DD Series engine. The DD Series engines – which also includes the Detroit™ DD13® Detroit DD15® TC and Detroit™ DD16® engines – feature superior performance and power. Jointly developed by Daimler Trucks in Germany, Japan and the United States and featuring more than 90 percent globally shared parts, the DD Series heavy duty engine platform was the largest investment ever made in product development by an engine manufacturer. All DD Series engines feature a robust design with the exclusive Amplified Common Rail System (ACRS™), which works in combination with Detroit DDEC® electronic engine controls to benefit fuel consumption while reducing noise and vibration. These achievements include using BlueTec® SCR emissions technology, introduced to meet EPA 2010 emissions standards and achieving Greenhouse Gas 2014 (GHG14) regulations a full year ahead of the mandate for certification. “Our emissions solutions not only contribute to reducing pollutants, but also provide enhanced reliability, durability and efficiency,” said Williamson. 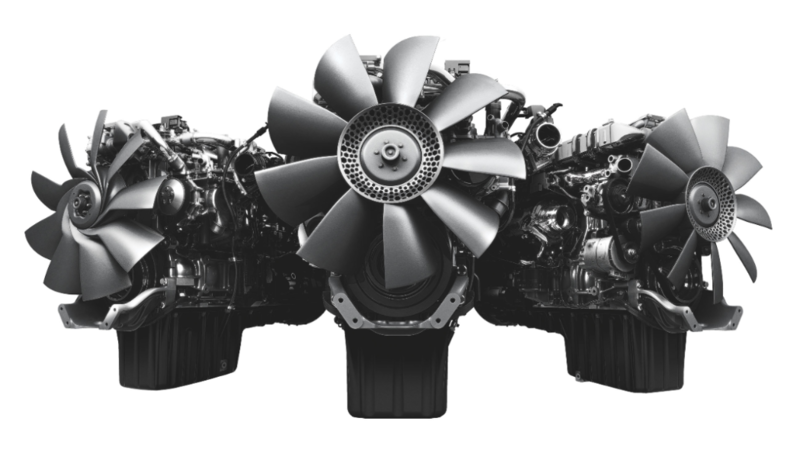 With the launch of the new integrated Detroit™ Powertrain, Detroit engines are poised to deliver even better results for customers. The integrated Detroit Powertrain has the DD15 engine with a new downsped rating of 400hp and 1750 lb/ft. Together with the Detroit DT12™ transmission and Detroit axles, the Powertrain provides seamless component communication. All Detroit engines are manufactured at the Detroit headquarters in Redford, Mich. Since its opening in 1938, Detroit has built more than five million engines at the three million-square-foot plant. Over the past 10 years, parent company Daimler Trucks North America has invested more than $750 million dollars in the facility. For more information go to www.DemandDetroit.com. Detroit celebrates production of 250,000th heavy duty engine platform since its launch in 2007.